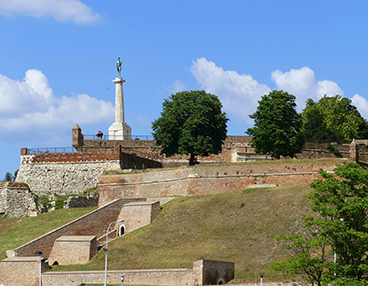 We are happy to announce that the RIPAP and TAIEX organise an Expert Mission to Prepare the Implementation of the EU Emission Trading Scheme in Belgrade, Serbia on 18 May 2018. The aim of this expert mission to have in-depth discussions on the implementation of the EU Emissions Trading Scheme (EU ETS) in Serbia, following a technical workshop, held the day prior to the expert mission. Currently, Serbia has made significant steps in preparing the implementation of the EU ETS. It has formulated a climate law that includes the required legal framework for the EU ETS and implemented various capacity building activities to support the implementation of the EU ETS, among others in the scope of the ECRAN project. A key challenge now is the acceptance of EU ETS by the operators. To this extent, the Ministry has requested support in understanding and illustrating the positive impacts of EU ETS in the EU as well as in-depth understanding of specific decisions to be made during the implementation process. Prepare for detailed discussions on EU ETS implementation in the scope of Serbia’s EU Accession process. We kindly advise all interested parties that, unfortunately, due to the nature of the event, it will be a closed one and participation will be done on the basis of invitations received. Thank you for your understanding.